Snoring can be caused by restriction of the airways also causing Obstructive Sleep Apnea. This creates respiratory arrest, and the body fights this by breathing in at a higher velocity. The increased velocity creates a noisy vibration of the soft tissues. 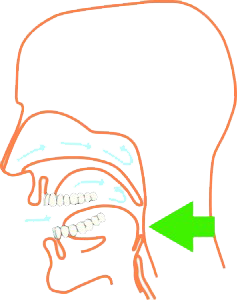 The jaw is maintained in a fixed position to keep the airways open. 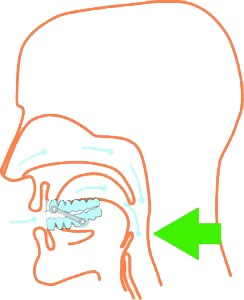 Air moves smoothly through the mouth and into the lungs. The Snore Clinic fit a unique oral appliance, which is proven to reduce snoring. Studies have shown that in industrialized countries approximately 40% of the population snore. The percentage increases to 60% with men over the age of 60. Snoring is generated when soft tissue and muscles in the throat vibrates.